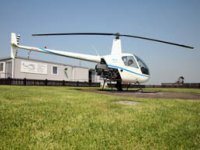 Product review: trial helicopter lesson – by anon, 12 Dec 17 5/5 Excellent "First operator ceased to offer this experience but Experiences4all were very helpful and organised a different venue for us. Very good and easy to find the venue. Venue was clean and modern. Offered coffee on arrival.Equipment was excellent. Everyone was very friendly. Briefing was good. Felt very confident.Experience was very enjoyable. Excellent. Would definitely recommend.Did not linger after the event but took ample photos and videos, and parent was allowed on tarmac to take a close up.Would not hesitate to use Experiences4all again in the future. " Experiences4all says: We try to offer alternatives where original operator cannot fulfill. Glad it all worked out. First operator ceased to offer this experience but Experiences4all were very helpful and organised a different venue for us. Very good and easy to find the venue. Venue was clean and modern. Offered coffee on arrival.Equipment was excellent. Everyone was very friendly. Briefing was good. Felt very confident.Experience was very enjoyable. Excellent. Would definitely recommend.Did not linger after the event but took ample photos and videos, and parent was allowed on tarmac to take a close up.Would not hesitate to use Experiences4all again in the future.